By Jeanine Poggi . Published on August 07, 2014. Cable's History channel is looking to tap into an audience it doesn't often reach on TV: children. No, it's not adding a kids' edition of "PawnStars" or a "Mountain Men" spin-off called "Mountain Kids." Instead the network, part of A&E Networks, is looking to introduce a younger demographic to the History brand with game apps. The effort will begin with two games slated for release Thursday under a brand extension called Planet H: "Frontier Heroes" and "Empire Run." A third game is planned for later this year. If the games find an audience, the new unit could eventually expand beyond apps to include short-form digital content, consumer products and even a historical cartoon series, said Dan Suratt, exec VP-digital media and brand and content licensing, A&E Networks. "The idea to bring a younger audience to the History brand has been kicking around for years, but up until recently there's been nowhere for it to live," Mr. Suratt said. 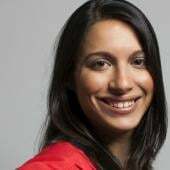 "Now we have all of these other platforms and devices that appeal to younger demos like tablets and smartphones that make it easy to reach these demos without making huge financial commitment." The games target 7-to-11-year-old boys and girls and cost $2.99 each. First and foremost the games are about entertainment, with educational elements weaved throughout, said Evan Silverman, senior VP-digital, A&E Networks. "There's a void in the market for high-quality content around history that targets kids," Mr. Silverman said. "Frontier Heroes" explores eras in American history such as the American Revolution, the colonial period and the California Gold Rush through 25 mini games. As kids play, they collect "Did You Know" coins that contain historical facts and unlock new levels. In "Empire Run," players race through several of the world's great empires, including ancient Egypt and the Roman Empire, collecting coins, avoiding obstacles and defeating enemies. There are no in-app advertisements or in-game purchases. The apps are available for iOS, Android and Kindle Fire. After the third game is released, additional games are planned for 2015. History will promote the apps online and on air, with promos running on both History and sibling network Lifetime. Mobile games provide History a cheaper entry point into the children's market than more traditional alternatives such as creating a TV series. And they can allow the company to begin collecting information on the demo, such as what appeals to the audience when it comes to characters, animation, storylines and game play. That information can then be used in developing other content, Mr. Suratt said. The games were developed in partnership with Red Interactive Agency, which also produced the "Battle of the Beards" game for A&E's "Duck Dynasty," which has been downloaded 2 million times since it was introduced in September 2013, according to A&E. Planet H isn't meant to make History's actual TV audience younger. History skews decidedly male with its median age over 50, and Planet H isn't expected to change that. But as younger demographics discover content through digital platforms and devices, there's an increasing need for TV networks to find new generations beyond the TV screen. 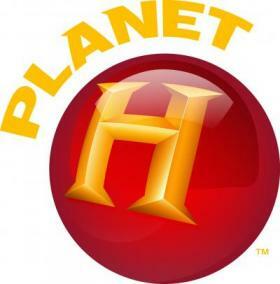 Introducing kids to the History brand through Planet H, even if they aren't necessarily the TV networks' target audience, could be one way to keep the brand relevant.